The experienced team at Kwik Fab Ltd are here to assess and assist you with Vault Removals. Kwik Fab Ltd can handle all elements of your long or short distance vault removal. We offer a full service removal service. 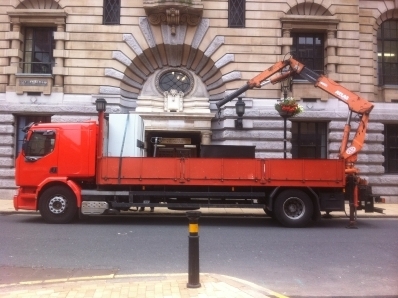 Our experienced vault movers will uninstall your vault from its current location, securely pack it to avoid damage on its journey, safely transport it and install at your new office or home location. Due to our years of experience, we will not sub-contract out to any other transportation companies. This way, we can ensure that your vault will arrive undamaged and installed professionally. Kwik Fab Ltd will provide you with a complete vault removal solution that will allow you to have a hassle-free move. When moving into a new business property some old buildings can feature a surprise or two. One of the most common ones is an old vault or secure room facility. Although spectacular, these can take up a lot of space that can be better used to help your storage and business requirements. That’s where we come in. Kwik Fab have the tools and experience to dismantle and remove your unwanted vault system without damaging you property or disturbing the day to day running of your business. In order to move your vault, we are fully trained in a variety of specialised equipment to ensure it is done appropriately and safely. Whether your vault has to go up or down stairs, through awkward or occupied spaces, let the team at Kwik Fab Ltd take the strain.